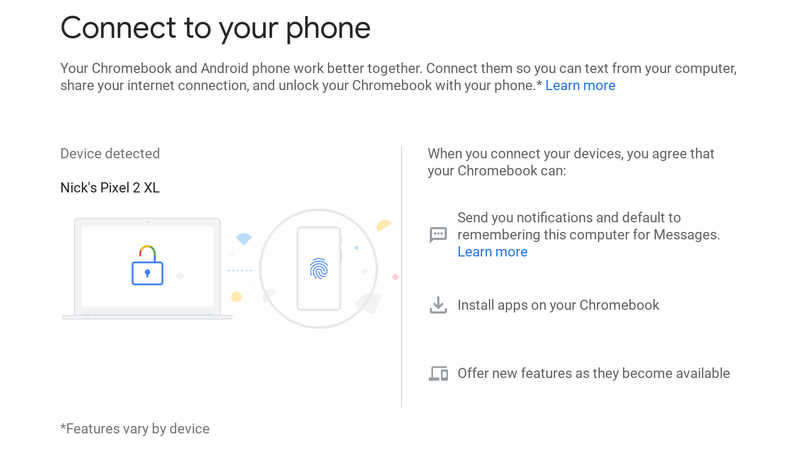 Google has been working on a Chrome OS phone syncing feature for over a year, called 'Better Together'. It started out as a way to respond to SMS messages from your phone on your Chromebook, but it has evolved into something more general-purpose. Now the functionality is rolling out on the Chrome OS Dev channel. 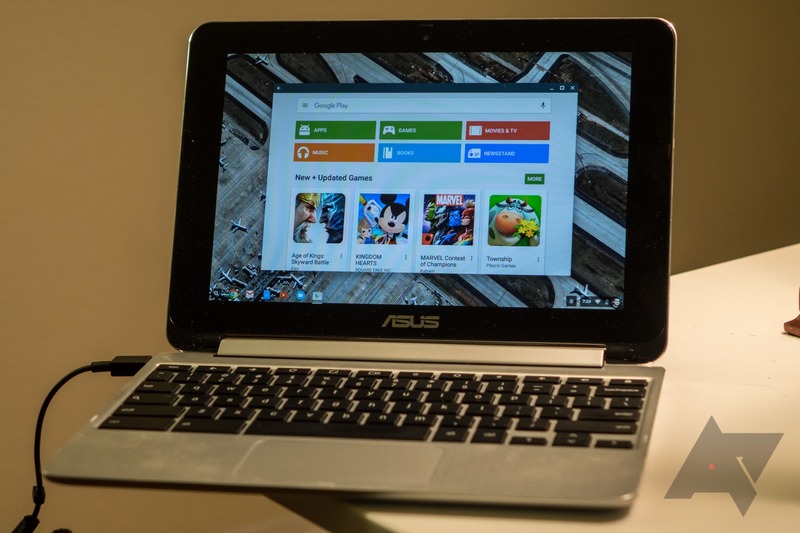 Have a Chromebook Flip? Get it on the developer channel ASAP - the Play Store update is rolling out now. I've had very little chance to mess with it, but the apps I have used (Hangouts, Maps, Search, the Play Store) all seem to run pretty well. Funnily, the Play Store still allowed to install Google Now Launcher... but you can't change the launcher, since the launcher is the windowed app mode. I haven't tried any games yet, and a number of apps you might want - like Google+ or Talon for Twitter - are marked incompatible at this time. The developers will likely need to account for the hardware capabilities of the Flip and other Chromebooks (specifically, the things it lacks) and be sure to tailor their apps to devices without certain features down the road. 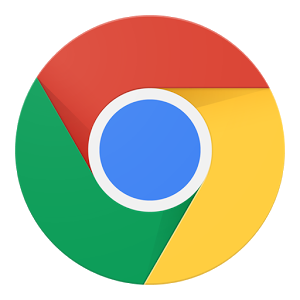 Google's Chrome development team regularly implements new APIs to extend the possibilities for web apps to behave more like their native counterparts. The most recent addition to the Chrome dev channel allows web developers to use Bluetooth to communicate with nearby hardware. This could be used for things like an online fitness tracker that gets data from a heart rate monitor or for a controller to drive a Sphero, all without installing a native app. These things are possible with the new Web Bluetooth API. Still in the early stages of development, this allows a web application to query for Bluetooth devices based on their capabilities, then pass messages back and forth with little or no friction. Of course, using Chrome OS as a full-time OS has its share of...annoyances.